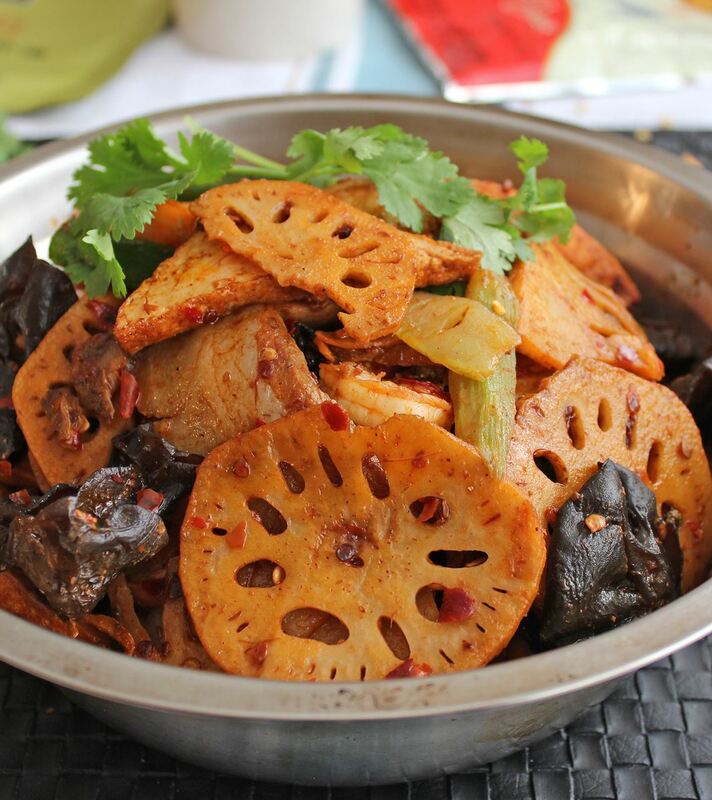 Mala Xiang Guo is essentially a stir-fried Sichuan hotpot of multiple ingredients cooked twice, with strong complex mala flavors. 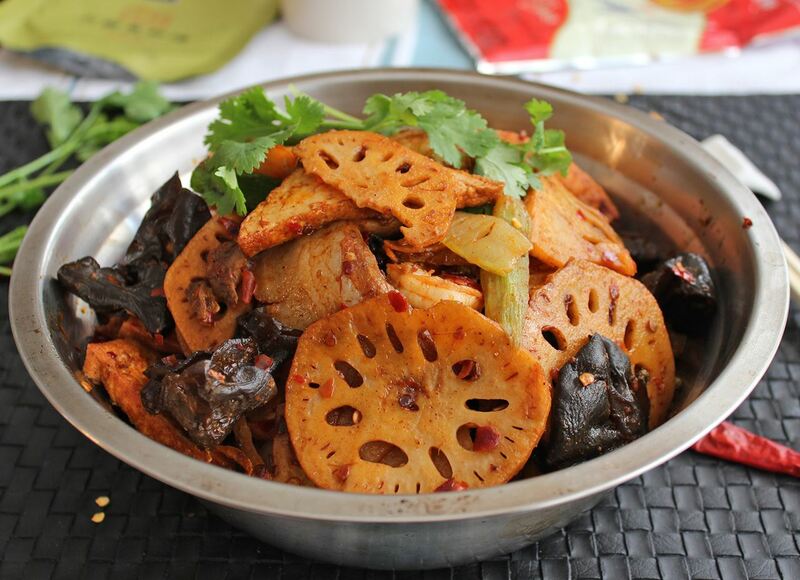 It originated in Chongqing, and has become one of king dishes for both group dining and home cooking all across Sichuan and Chongqing. 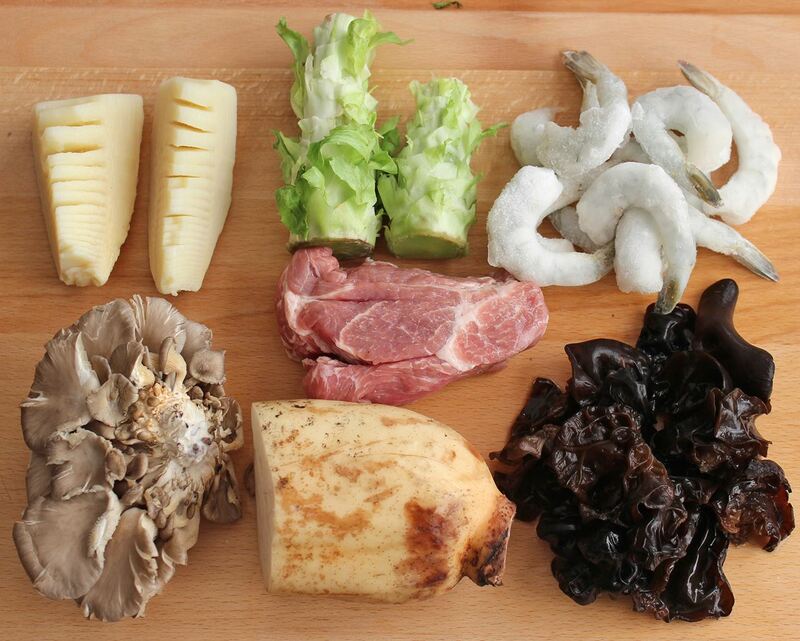 The main ingredients can be any meat, seafood, poultry and none-green vegetables, simply precooked by either blanching in simple broth or quickly stir-frying, and then stirred all together with variety of mala seasonings. It blends numbing, spicy and dry fragrant tastes in one palate-pleasing shot. This recipe is detailed in several optional steps to guarantee success on your own preference. 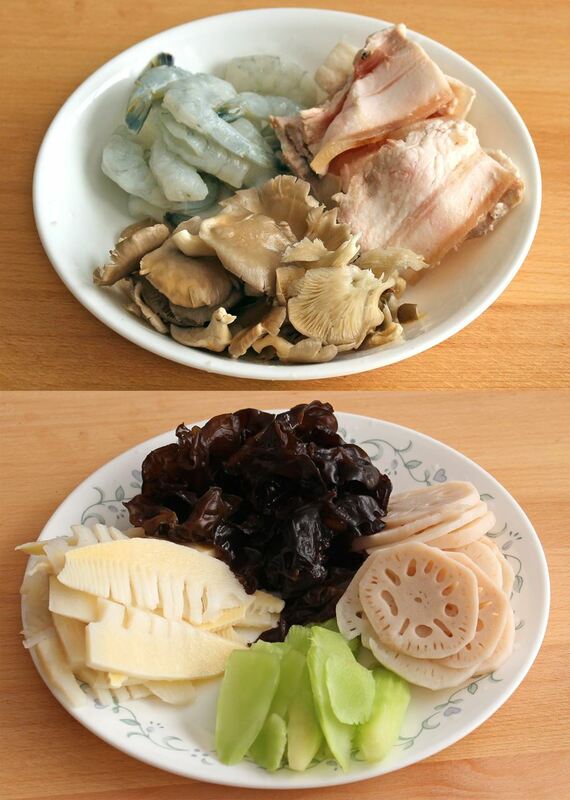 2Slice lotus root, celtuce stems, bamboo shoot. 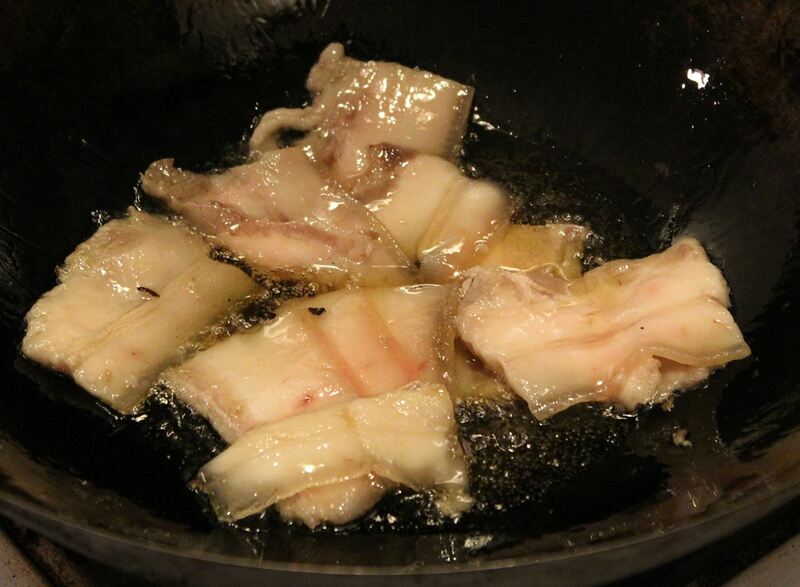 If twice-cooked pork flavor is expected, boil the pork and slice it. 3Slice the garlic cloves and ginger. 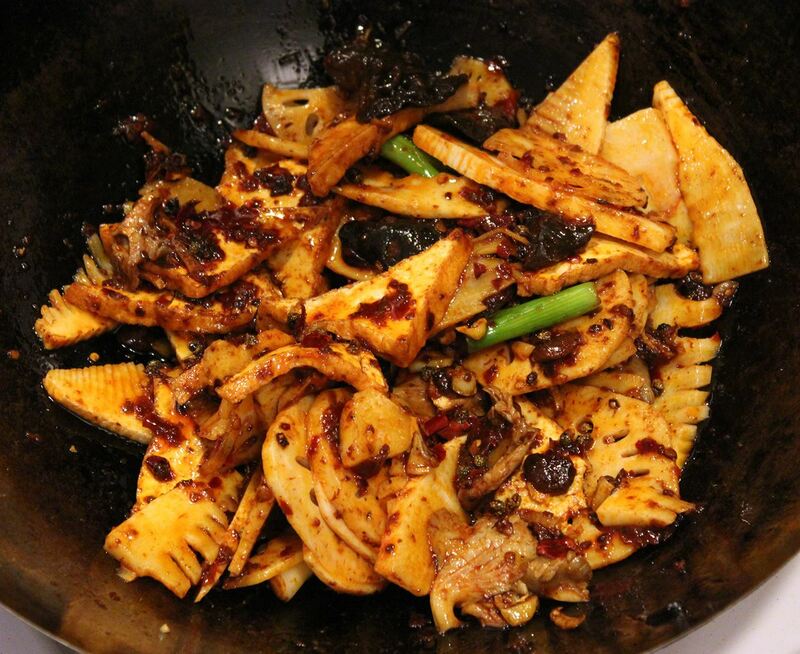 Mince Dandan doubanjiang. Cut dry peppers into chunks and throw the pepper seeds. 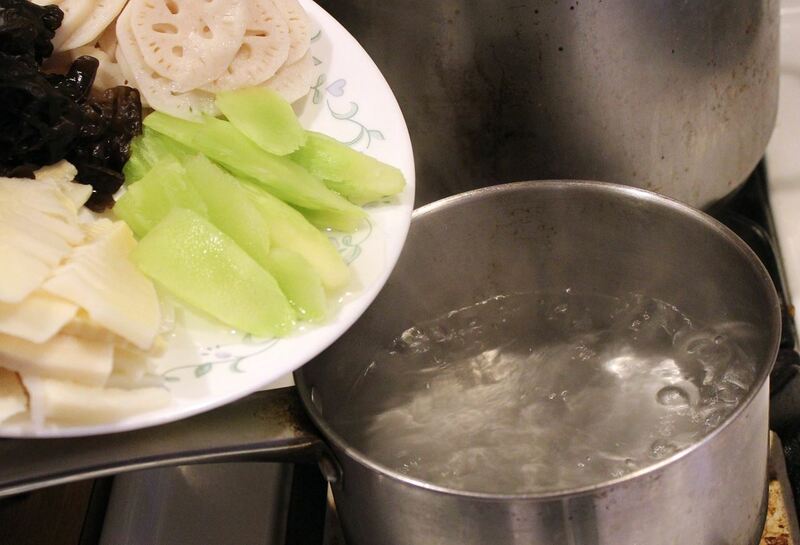 4Blanch all vegetables one by one in a boiling water pot. Set aside while preparing the rest of ingredients. 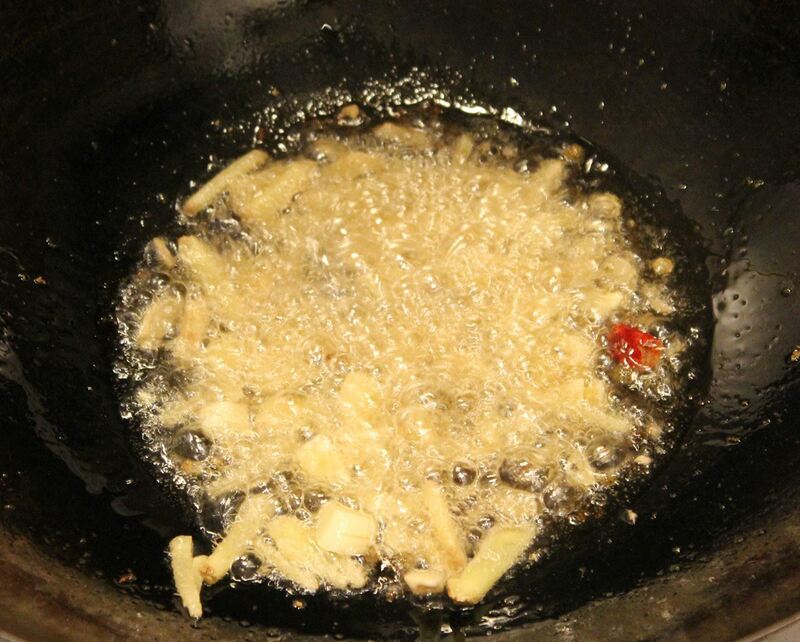 6Clean the wok and heat 1/2 cup cooking oil over low heat, along with spices. infuse for 20 minutes the spices become dark brown. Turn off the heat filter out all spices. 7Turn to medium low heat. Add ginger and garlic and stir a few times. 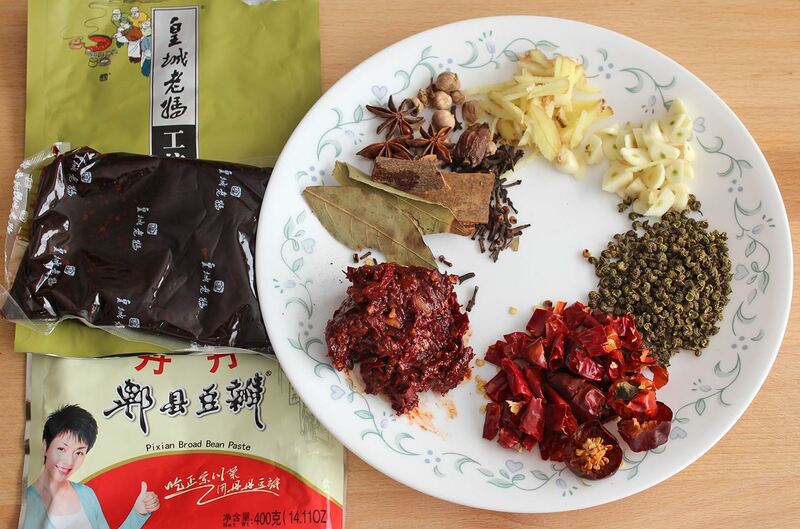 8Add doubanjiang, hotpot sauce, Sichuan peppercorns and dried chili peppers. Cook for a few minutes until the oil turns red. 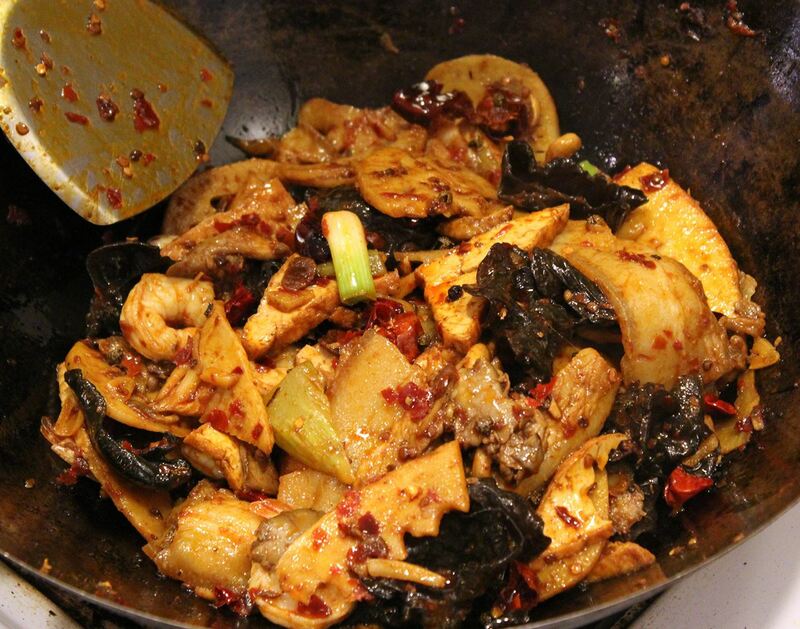 11Transfer to a serving plate or serve right from the wok. Serve with steamed rice. The group of Spices for Oil can be adjusted on your own preference. 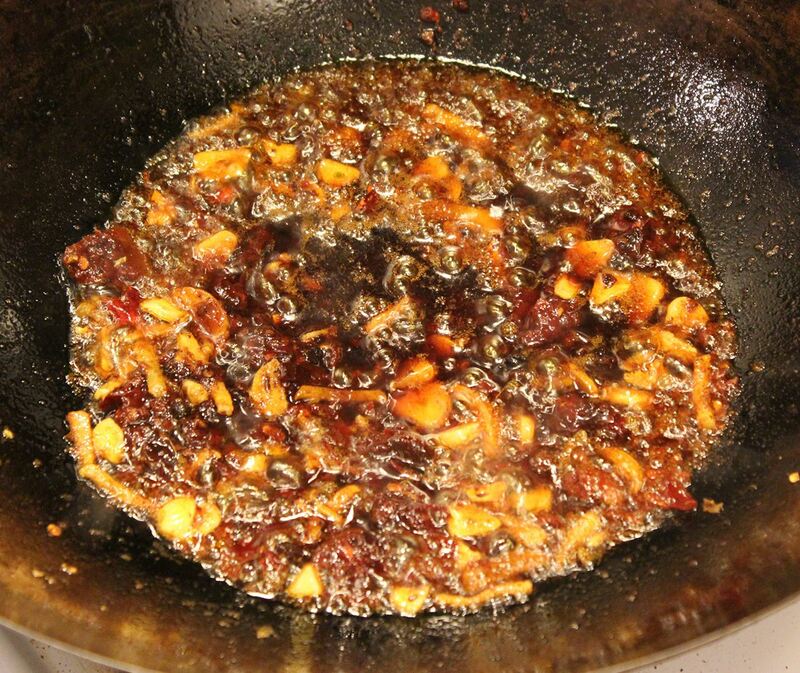 They can be omitted at all, especially when an instant Mala Xiangguo sauce is used directly. The dried chili peppers can be very spicy Thai or Xiaomila peppers, mild spicy facing-heaven, none-spicy bell peppers, or are omitted at all. 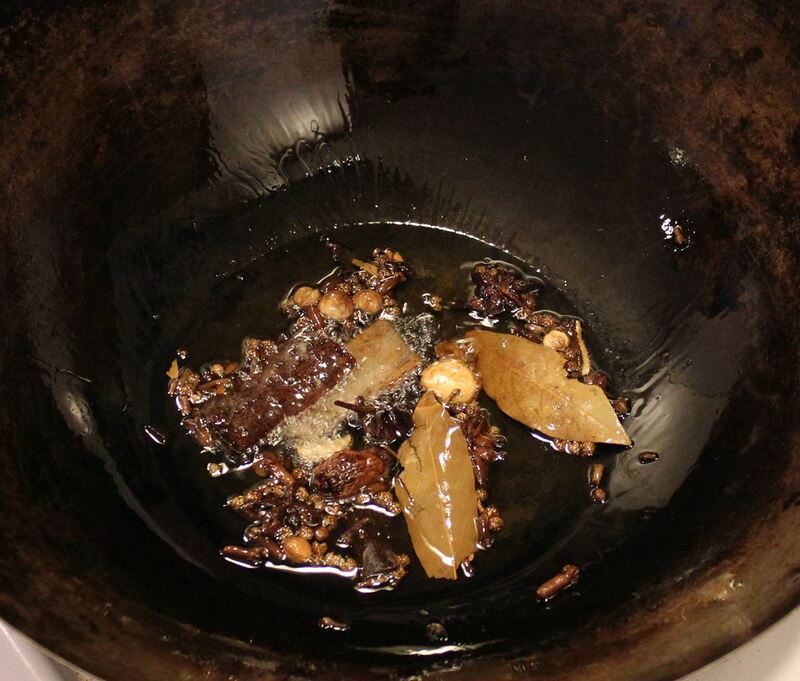 Sichuan hotpot sauce can be found easily anywhere today.